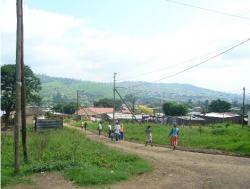 Greater Edendale, Vulindlela Development Initiative is a revolutionary transformative approach from the apartheid form of planning and development of historically repressed and neglected township into an urban Pietermaritzburg place of high quality, representing the single biggest investment in the City's future. The initiative is expected to unlock the potential of creating the Greater Edendale Area into a City within a City. In this context, Greater Edendale is entrenched as a gateway towards the development of an inclusive and integrated post apartheid City. The Msunduzi Municipality (incorporating the Greater Edendale area) is the second largest urban centre within the Kwa-Zulu Natal province and is the main economic hub within the Umgungundlovu District Municipality. Its location has a strong influence on the regional channels of investment, movement and structuring of the Provincial spatial framework for growth and development. The Greater Edendale area is situated some 10km south-west of the Msunduzi City Centre. The two areas are linked by a dual carriage way which is more popularly known as the Edendale Corridor. This route serves not only as a path for economic growth but also as connection between various outlying rural areas in the north, including Vulindlela, to the City. Edendale is divided into two areas, the first of which is categorized as the traditional area of Edendale proper, where virtually all land is privately owned. The second area however, is regarded as the more contemporary area of Edendale and it is here that all land vests within the ownership of either the state or the provincial government. Much of the Greater Edendale Area is densely developed with both formal and informal housing, supported in some areas by ancillary land uses and facilities. The current population within the Edendale area is about 300 000 people which comprises approximately 36% of the City's population. The transformation challenges that face GEVDI are formidable as they need to be addressed within an environment that is bound by the constraints of high levels of poverty and unemployment; rapid population growth; lack of facilities and services, the AIDS pandemic; land legal complexities and the advancing rate of informal settlement. Create and facilitate a dynamic and vibrant urban place of high quality. Promote and facilitate good governance and support community empowerment and participation in order to meet socio-economic, environmental and special needs of the community. Create an environment that is conducive to economic growth and human development. Secure the reconstruction of the built environment. Promote and facilitate the provision of appropriate and equitable services to all areas. Provide security of tenure for the Greater Edendale Community. Acquire land for housing and the provision of services. Facilitate and promote access to land as a resource and asset. Acquire funds for community based projects from private and public sector programs. Ensure that all elements comprising sound governance and practices are adhered to. The Greater Edendale Area has been divided into 18 Functional Areas. Broad brush plans have been prepared for each Functional Area detailing the role, character, spatial features and key development interventions that are required in order for the Functional Areas to reach basic performance levels. To date, the planning of the Corridor as a pilot project has been completed and extensive consultation has been done on the Edendale Corridor Plan including two public meeting. A key component of an IDP is a Spatial Development Framework. This Plan seeks to integrate economic, sectoral, spatial, social, institutional, environmental and fiscal strategies in a manner that promotes the sustainable growth and development of the City. With DBSA funding consultants have been appointed toundertake the SDF for the Greater Edendale Area. This work is currently in progress. In support of the Spatial Development Framework and other GEVDI projects, a land use survey of the Greater Edendale Area has been undertaken by GEVDI office and represents the first such survey at this level of detail by the Municipality. GEVDI has an active role in housing delivery facilitation including bank charter housing. Twelve  potential housing projects have been identified and are presently in the process of being packaged. GEVDI has been actively involved in the land use planning component of the Edendale-Northdale Corridor Transportation Study. The analysis of main trends and opportunities in the GEVDI area is completed. The preparation of an urban design plan towards the establishment of Georgetown as a cultural heritage node is in progress. A Memorandum of Understanding was signed by the Department of Agriculture and Environmental Affairs, Built Environment Support Group, Keep Pietermaritzburg Clean Association, Greater Edendale Development Forum, Nyonithwele High School for the establishment of a Waste Recycling Project in Edendale. The site near Nyonithwele High School on Edendale Road has been cleared, fenced and an access bridge built with funding from the Australian Embassy given via BESG. The twenty (20) members of the project have been trained on use of waste as materials for craftwork. Gijima KZN has approved R444 000.00 for a feasibility study and towards the implementation of two pilot urban agriculture projects in the Greater Edendale Area. A pilot project on Organic Farming has been initiated by Ekujabuleni Children's Home with support from Food and Agriculture Organisation of the United Nations, Department of Agriculture. GEVDI and other relevant Municipal units are providing technical support to make the project a best practice model that could be replicated in other parts of the city. Ithala Bank, Umgungundlovu FET College and Department of Agriculture and Environmental Affairs have pledged support for the development of Urban Agriculture in the Greater Edendale Area, with particular emphasis on Agro-Processing. A network of institutions working in the Early Childhood Development Sector has been facilitated by GEVDI, including TREE, Department of Social Welfare, Khulugqame Crèches Association, Child Protection Unit of SAPS, Red Cross, ECD Unit of the Department of Education, Msunduzi Environmental Health Unit. The Slangspruit / Imbali HIV/AIDS Youth Support Group undertook a week-long Life-Skills Training by School Leavers Opportunity Training (SLOT). GEVDI facilitated their introduction to the Msunduzi Health Unit and the Imbalenhle and Grange Clinics, so that they may start implementing their DOT/ Home Based Care Anti-TB Campaign. GEVDI has also introduced them to FEEDBACK, the organization that supplies poor communities with food parcels. GEVDI is in the process of finalizing reports on the Ward Profiles for all the 14 wards of the Greater Edendale Area. These profiles will highlight priority issues that each ward faces and create a conducive environment for Community Based planning. GEVDI is involved in developing an education profile of the Greater Edendale area. Part of the process has been to visit schools and assess the conditions under which students learn. GEVDI is planning to hold workshops with the School Governing Bodies and other relevant stakeholders to develop plans for improvement of the quality of schools and the significant role the community should play in this regard. The project has commenced with the training of 22 unemployed matriculants by staff of the Sinomalando Centre for Oral History and Memory Work in Africa. The partnership between the Centre and GIDI has now been signed. Investigations have commenced on initiating as a long term project namely a centre for the Aged for the Greater Edendale Area. The short term goals are to establish a number of senior citizens clubs which eventually will become the catalyst to promote the proposed centre. [Two senior citizen clubs have been initiated, one in Georgetown and the other in Imbali]. GEVDI staff is in the process of researching and collating material for the above display. GEVDI has assisted in the fundraising and co-ordinated a variety of functions for six Edendale Ward Councillors. The complex issue of taking ownership of private road servitudes has begun with a deeds search indentifying owners of various portions of land in Ward 21, the pilot ward. This process will eventually allow roads to be owned by Council and upgraded. However, the Deeds search is proving more complex than originally thought with many of the owners of road servitudes being deceased. However, this will not deter GEVDI from attaining the right to construct roads in these wards. The Water and Sanitation Sub Unit is continuing with implementing its MIG funded "Elimination" of mid blocks water and sewer mains". A contract for R6 million is out for installing new water mains and sewers in Ward 13 and GEVDI will assist with Sanitation and communication on this project. Detailed design work for "Eliminating conservancy tanks" is currently underway and it is expected that the first Phase will be in the Georgetown area, and GEVDI will be facilitating contracts between Councillors and the Water and Sanitation Sub Unit. Funding for the restoration of the Msimang House has been provided by Department of Local Government. 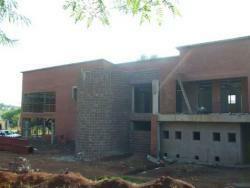 Msunduzi and Natal Museums have agreed in principle to oversee the management of the proposed cultural centre. Funding has been provided by Department of Local Government. Library has agreed for the Business Centre to be housed in the Georgetown Library. Project to resolve all remaining land legal problems and land purchase in Greater Edendale for Municipal purposes. Department of Land Affairs has provided R35 million over two years for land acquisition and tenure upgrade. Given the size of Edendale and the long years of neglect that have to be reversed, it is not surprising that GEVDI is one of the largest and most ambitious town planning and urban development projects taking place in South Africa today. It is not all going to be achieved overnight, but the aim is to transform Edendale from a township, which colonial and apartheid neglect allowed it to become, into a vibrant and dynamic Urban Place within the Msunduzi Municipality.